There are times when you might want to mount the camera and underwater housing on a tripod, a camera crane or similar fixture. 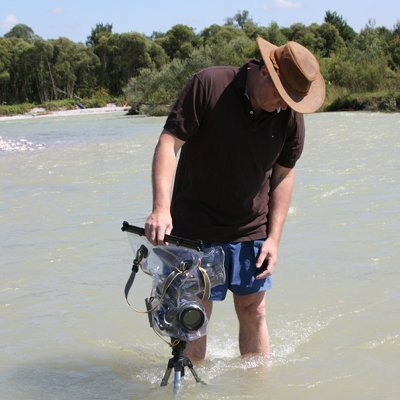 For these occasions we have developed our ewa-marine Tripod-Connector system. 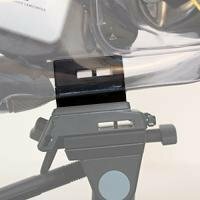 The Tripod-Connector is permanently fixed to the housing of your choice in the factory. It comes with an external screw thread to connect the housing to the tripod and features an internal connector plate, similar to that found on tripods, that you will have to fit onto the camera before "clicking" it into the shoe in the housing. Both sides feature a standard 1/4"-20tpi (threads per inch) screw thread as fond on all regular cameras. If you need a Tripod-Connector please send us a inquiry on our contact form and state the make and model camera you intend to use. The Tripod-Connector might make the housing less generic and limit the range of cameras that you can use inside the housing. For example, our SLR housings fom the U-A.. and U-B.. range are sold with a sponge that fits underneath the camera inside the housing. This sponge has to be removed if you want to use your camera with a battery grip, or to make space for the tripod connector. As a result, cameras like the Nikon D4 or Canon 1DX, that basically include a fixed "battery grip" as part of their design, can not be used inside the housing that has been fitted with a tripod connector.